Hauser & Wirth is devoting all three of its London galleries to a presentation of works from the collection of Reinhard Onnasch. A celebration of Onnasch’s longstanding passion for art and collecting, ‘Re-View: Onnasch Collection’ is curated by Paul Schimmel, a post-war scholar and the newly announced Partner of Hauser Wirth & Schimmel. The exhibition focuses on the period between 1950 and 1970, which saw the birth of some of the most important artistic movements of the 20th century. It will feature significant works from the Onnasch Collection, including iconic examples of Pop Art, Fluxus, Colorfield, Assemblage, Minimalism and Abstract Expressionism from the New York School of Art, many of which have never been presented before in London. Reinhard Onnasch (born in Germany in 1939) was one of the first Germans to open a gallery in New York following World War II. 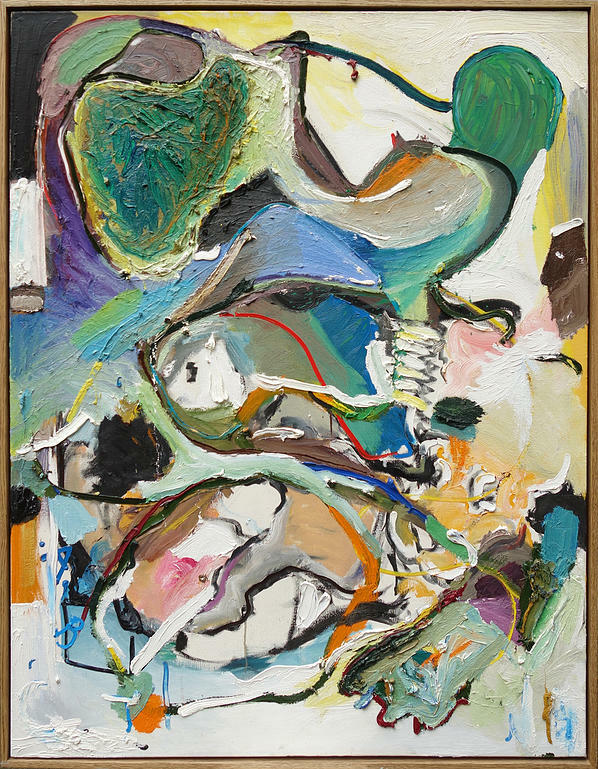 He introduced German artists such as Dieter Roth and Hanne Darboven to American audiences, American artists such as Morris Louis, Claes Oldenburg and Kenneth Noland to German audiences, and was one of the earliest advocates of the American artist, Edward Kienholz. 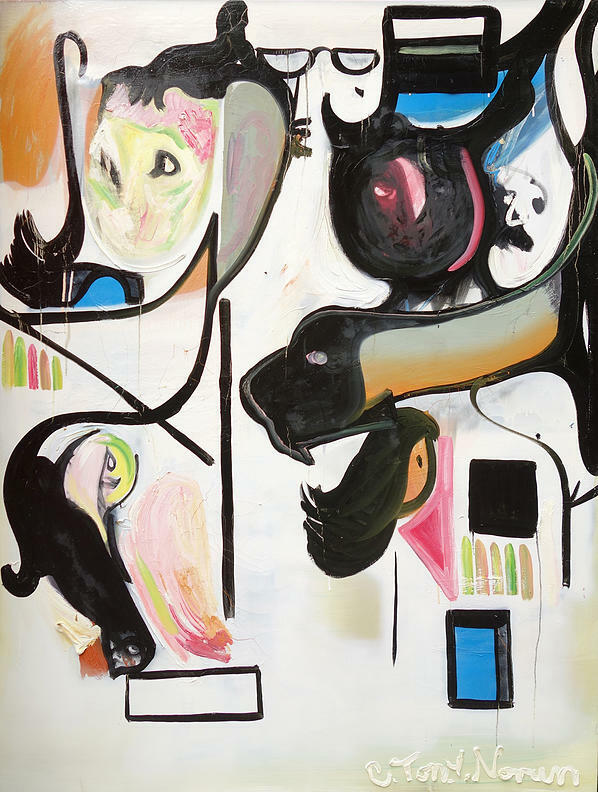 Onnasch was attracted to the individual personalities of an artist’s work, a quality that led him to build an extensive and eclectic collection with a multitude of themes and stories coursing through it. Onnasch Collection Hauser and Wirth, ‘Re-View: Onnasch Collection’ begins in Hauser & Wirth’s Piccadilly gallery with an exploration of Assemblage, collage and the combine, looking specifically at the quasi-area between sculpture, the performative and the cinematic that these works occupy. The centrepiece of the presentation at Piccadilly is the work of the self-taught American artist, Edward Kienholz. Kienholz’s early, surreal sculptural assemblages highlight the artist’s penchant for wrestling with difficult subject matter and creating sharp social criticism. For example, ‘The Future as an Afterthought’ (1962) confronts the horrors of nuclear war by assembling a mass of dismembered baby dolls in the silhouette of a mushroom cloud. In the American Room of the Piccadilly gallery, the rich tradition of Assemblage is further explored through works by George Brecht, Christo and Dieter Roth. 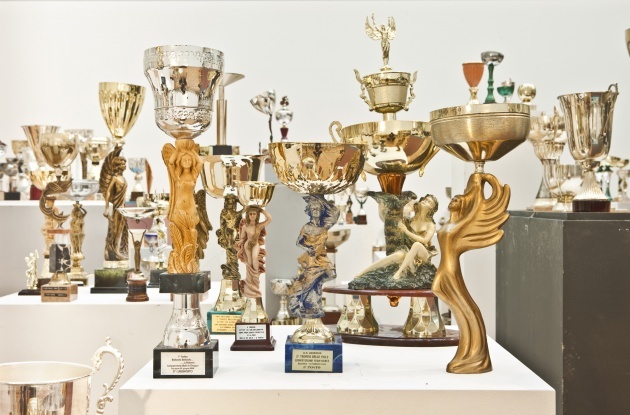 Their work emphasises the banal, completely disregarding the boundaries between so-called ‘high art’ and everyday life. They embraced the accident and the unpredictability of their unstable materials, including food. Only the red caps peep out of Roth’s ‘Zwerge (Dwarves)’ (1970), a block of garden gnomes immersed in chocolate, a foodstuff once pleasurable that, over time, has become revolting. The exhibition continues in Savile Row where it is divided into two sections. The north gallery focuses on the New York School of the 1950s and 1960s, including works by Clyfford Still made during what is widely considered to be his most influential period, when he moved to New York from California. A vanguard of the Abstract Expressionists, Still created insistently vertical compositions akin to the sublime works of Mark Rothko and Barnett Newman. The north gallery also feature artists such as Morris Louis and Kenneth Noland, artists associated with the next phase in the New York School of Art: Colorfield and geometric abstraction. The corners of Morris Louis’ monumental paintings from his iconic ‘Unfurled’ series (1960 – 1961) are framed with streams of unmixed paint, a testament to the notion of purity central to the Colorfield movement. Likewise, Noland’s early paintings on view at Hauser & Wirth draw upon European abstraction and the language of the Russian Constructivists using the direct application of colour seen in Morris Louis’ paintings. The presentation in the south gallery explores the emergence and development of Pop Art, looking particularly at works by artists such as Jim Dine and Claes Oldenburg that pay homage to the painterliness of the New York School. These express a fascination with a popular culture defined by mass production and consumption and its presence in day-to-day life through magazines, advertisements and ordinary items. For example, Oldenburg’s ‘Model for a Mahogany Plug, Scale B’ belongs to the earliest group of the artist’s large-scale projects, magnifying everyday objects to fantastical proportions. The candy-colour palette of the cartoon-like paintings of William Nelson Copley and John Wesley, also on view in the south gallery, are further examples of a post-modern investigation into the common object. The final rooms of the exhibition look at Minimalist and Conceptual Art – two movements arising almost simultaneously with Pop Art – through works by artists such as Dan Flavin and Richard Serra. Two weighty, steel plates balance precariously, propped up against each other in the corner. The sculpture, Serra’s ‘Do it’ (1983), speaks to the formal geometric abstractions of Minimalist Art, whilst accentuating and re-framing the viewer’s experience of sculptural volume and space. ‘Do it’ brings the exhibition full circle. It shares an affinity of latent violence and danger implicit in Kienholz’s works and, like Kienholz’s work, speaks to the attitude of distrust from which American art of this period emerged, whilst expressing the vitality shared by these works. A beautiful bird, a drum, the stars and the ancestors, a river, the sea, the wind and the sun. I am blinded by being a human being, searching wondering about everything and nothing. I am a universal human being that live and breath for art, poetry, performance. My main focus is painting but with all this intensity and shadow, I even have to use my self as a medium. The problems I’m dealing with or try to solve, is how a specific painting or situation have any value or effect at all in this world. I cant change the world or solve any big problems but only believing that small organs like a catalyst can present some kind of nerve that show a little hope of healing in all this killing. Ambitious initiative, which addresses issues of storage and research in addition to exhibitions, museums-represents a substantial attempt to cement this reputation. Possibilities available for the fundamental artists to negate, stripping away until nothing remains, or to accumulate, to embrace additively until one has reached the limit of fullness. The subversive, at the times contrarian loving and caustic, chaotic and prec—has pursued both paths at once both tendencies arc visible in the presents of artistic practice. 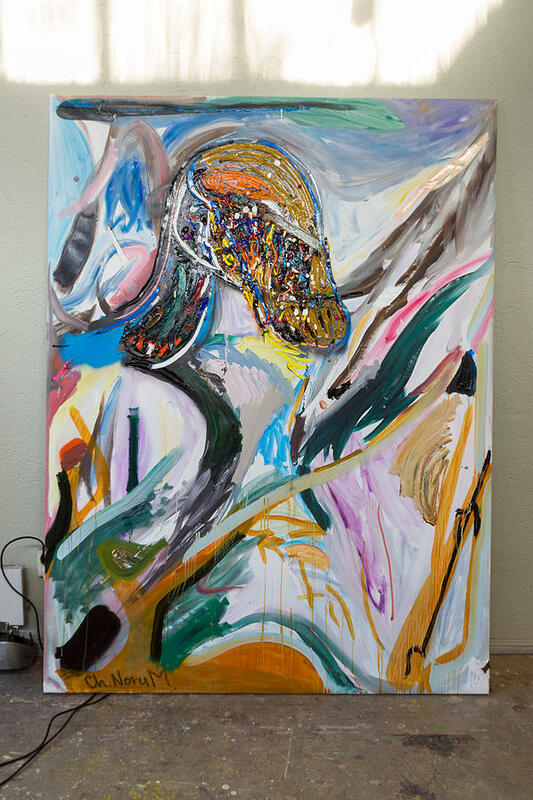 Working with painting, performance and sculpture I need to examine strategies and issues in post structural and modernist theories by using dialogue and communication with my contemporaries and earlier artist. I use the art-history as a innocence open source to use this old knowledge as a catalyst for new deeper meanings and generate it into a self-reflecting understanding of how I preside the world. Its not always a issue, its to amuse your self in this reality of ours. The issues that already exist, or you are put into this world and by using experimental natural methods to meet this experiences with closed eyes while staring at the sun and you know what it is for what it is and that is the color orange. 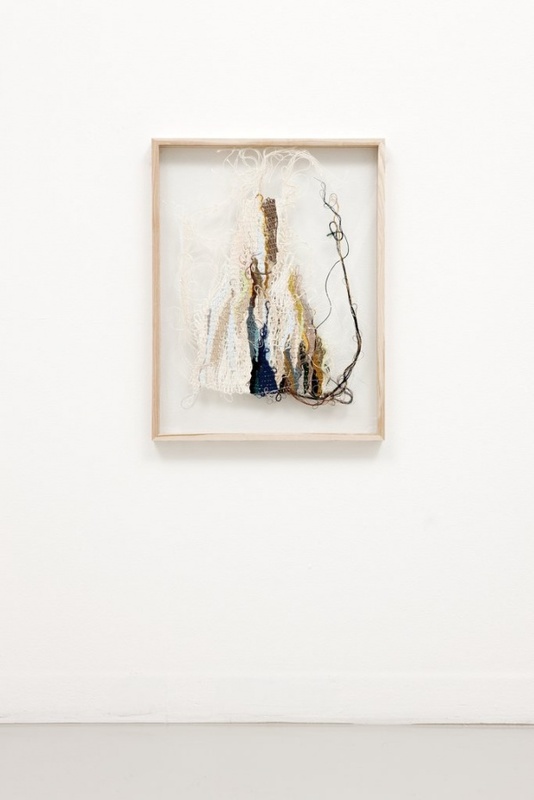 Having graduated from the Oslo National Academy of the Arts last year, Høibo has made herself known for installations that rely on a layering of disparate elements and combining among others sculptures, framed works and textile works. While starting off studying the craft of tapestry weaving, her first solo exhibition aims at diffusing the distinction between that which is industrially, mechanically, or manually produced. In 2002 the Belgian actor Olivier Gourmet was given the award for Best Actor at the Cannes Film Festival for his role in the movie “Le fils”. Directed by Jean-Pierre and Luc Dardenne the film had Gourmet portraying a carpentry teacher in a training school for troubled teenagers. With the camera entirely in synch with his pace we would follow him around the workshop and with an equally extreme attention to details we would learn of the trade and manual labour of woodworking – the grain of timber, the density of various wood types, and the mundane, yet meticulous, work of cutting and carrying planks. The result was a sheer ordinariness where matter-of-factness turns materials into facts. Høibo’s choice of objects, such as instant noodles, synthetic leather and IKEA shelving units, have in common that they fit the description of ‘inferior goods’. The term stems from consumer theory and refers to a good that decreases in demand when consumer income rises (as opposed to normal goods, for which the opposite is observed). Inferiority would here apply to an observable fact relating to affordability rather than a statement about the quality of the good. “As a rule, these goods are affordable and adequately fulfill their purpose, but as more costly substitutes that offer more pleasure (or at least variety) become available, the use of the inferior goods diminishes”. These make-shift industrial materials objects serving during times of less, could not be at a further distance from the trade that Gourmet’s character is teaching in “Le Fils” or the trade that Høibo learnt herself. The textures and rhythms of manual labor, whether it be weaving and carpentry, are at once irreducibly physical and saturated with an almost spiritual significance. Contrasting in both method and matter are four framed fragments of tapestries.The work process allows Høibo a material and methodical research that in itself pushes towards permutation. Here, the four weaves are stripped down beyond structural foundation towards disintegration, willingly accepting the category of fragment. Juxtaposed with the bronze sculptures and synthetic leather monochromes they make an odd conversation about a renewed relevance of ‘arte povera’; not necessarily true to stylistic traits of the original movement but true to a time of actual poverty. If a term as ‘recessional aesthetics’ ever had a sense of purpose, there never was a more apt sculptural response than a cast of instant noodles. “As per the Orthodox Jewish tradition, the Messiah (the Prophet) will arrive riding on a white donkey. 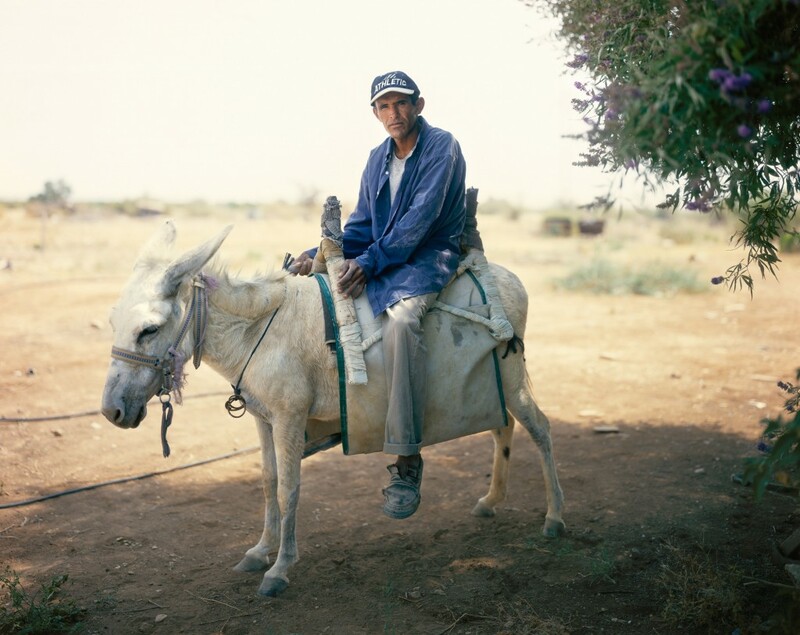 A few years ago, as I was photographing near the Dead Sea, a Palestinian man rode past me on his white donkey and I took a picture of him. It was after having developed this plate that I realized that I had encountered my “Messiah”; it was this chance encounter which brought me to initiate the body of work that carries the name: The Quest for the Man on the White Donkey. As my messenger started to reveal the “message”, the search for a deeper understanding of my country and what defines me as an Israeli became an urge to look for the in-between places, the unexpected situations; suddenly a detail requested my attention as I stood for hours waiting for a meaning to reveal itself, or pushed me away, puzzled. But in the end I had to hold on to it. I could not let go until that detail was made mine, until the elusive and enigmatic found their place in my understanding of what I deemed as an authentic, real encounter. Yaakov Israel was born in 1974 in Jerusalem, Israel where he lives and works.He graduated in 2002 (B.F.A) with honors from the Department of Photography at the Bezalel Academy of Arts and Design, Jerusalem. Following his graduation he received a scholarship from the Academy for an additional year of research and work on a project. 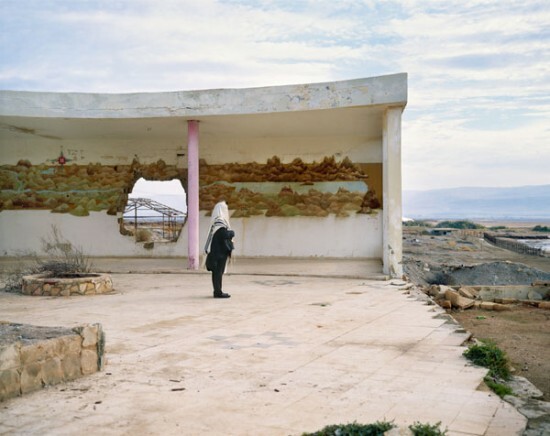 In his work he constantly investigates the Israeli identity as perceived through architecture, landscape and the people living in his country. 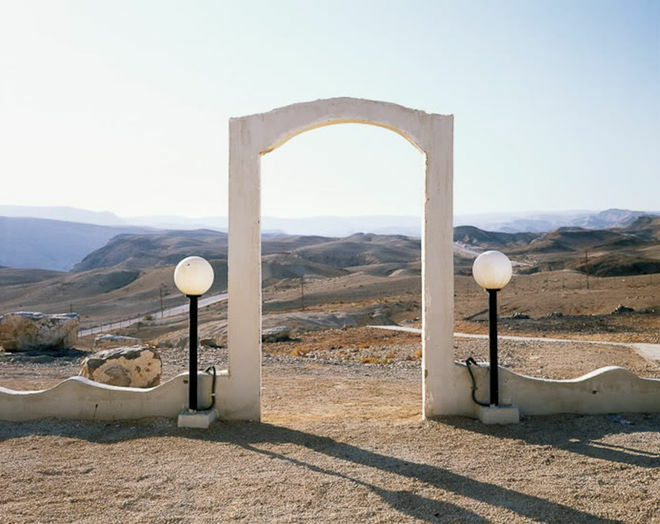 He finds that he is drawn to document places that are from one point of view characteristic of the Israeli landscape but on the other hand are not noticeable to most.